The images, words, and patterns that are produced the result of ink controlled by a computer The nozzles spray desired the amount of ink into the desired area of the paper.Entire process is managed by computer programs and hardware. The interesting digital printing facts is that this process can be very environmentally friendly. The water based inks are used and no powders or coatings are applied. Using a printing company they uses low volatile organic compounds and the best way to ensure green printing inks are used in your items. Digital printing facts include information about variable data and imaging. Computers control the printing process it is very easy to change the content of the item while it is being printed. Digital printing uses a complicated formula to arrange each image that will be printed a color management system is used the images will always look the same no matter where they are located in the final print design. A printing press is a mechanical device for applying pressure to an inked surface resting upon a print medium (such as paper or cloth) the press’s invention included: manufacturing of paper, development of ink, woodblock printing, and distribution of eyeglasses Printing has become a part of our daily lives. SHREE JI SOFTECH (SS) is one of the leading design agency in India. Our services have high impact on business growth and brand building. It’s our efficient and effective solutions that has given us domestic and global giants, as satisfied clients. We offer the total spectrum of business services a company needs to leapfrog ahead of the competition. 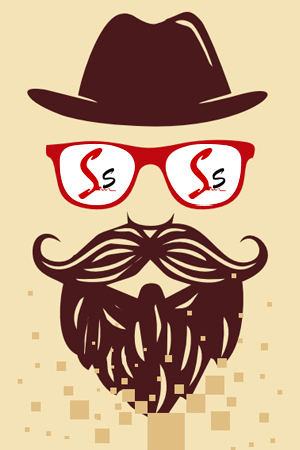 We are ShreeJi Softech, specializing in creating brands through a variety of specialized solutions crafted with precision, blended with care and implemented with a fine-honed strategy. © 2008-2019 Shreejisoftech All Rights Reserved.